gigawhite | Badudets Everything Nice! My face has uneven skin tone, some parts on the side of my face are darker. Maybe it’s the way how I apply my skin care products. When I learned about All-Natural Ultimate White Facial from Flawless, I knew I just have to try it. I usually avail their Advanced Facials or the Cell Booster Infusion Mask, both are good so I’m sure the All-Natural Ultimate White Facial will be beneficial to my skin too, it’s not called “ultimate” for nothing. Nanay and I went to Flawless SM San Lazaro branch. 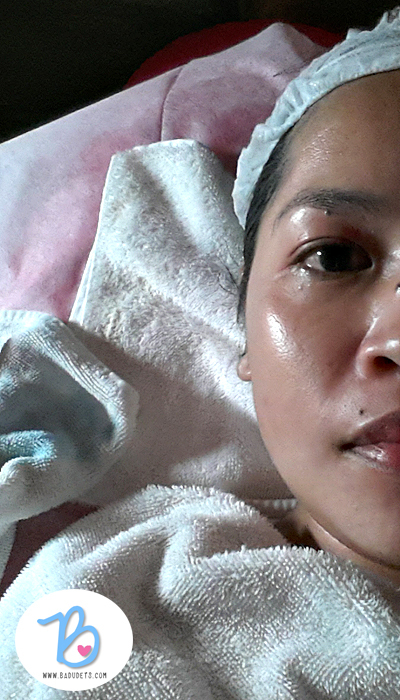 Before the facial procedure started, my therapist, Rachel, explained to me that since this is a natural facial, she will skip the pricking part since I have clear skin. I got a bit disappointed because I really like the pricking part and I find joy seeing all the dirt (whiteheads and blackheads) on my face removed.